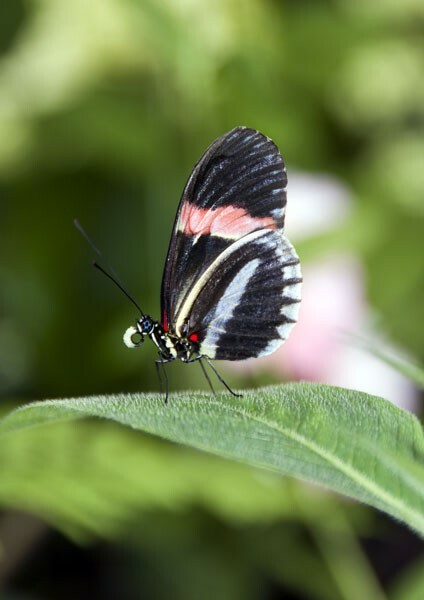 Posters or canvas prints of a Common Postman butterfly perched upon a leaf. Butterfly print showing the beautiful pink stripe of the Postmans wings offset by the gentle pink hues of the flora behind. Common Postman are found from Mexico to northern South America. Common Postman butterfly perched upon a leaf. Butterfly print showing the beautiful pink stripe of the Postmans wings offset by the gentle pink hues of the flora behind. Common Postman are found from Mexico to northern South America. Common Postman (Heliconius melpomene).